This section of the website is intended to give full details of the aircraft operated by Air Kruise, Britavia, Silver City and their French associate companies - Société Commerciale Aérienne du Littoral (SCAL) and Compagnie Air Transport (CAT). We also plan to provide descriptions of all the major types operated by the companies, starting with the Bristol Freighter - the mainstay of Silver City's operations for so many years. More types will be added in due course. The Bristol Freighter was developed in 1944 for quick production in the post-war market and first flew on 2 December 1945. Most of the early versions did not have large opening nose doors and were used for passengers or small items of freight that could be loaded through the normal side door; these aircraft were known as 'Wayfarers'. However, most Freighters had the fully-opening nose doors and were designated Mk 21 Freighters. 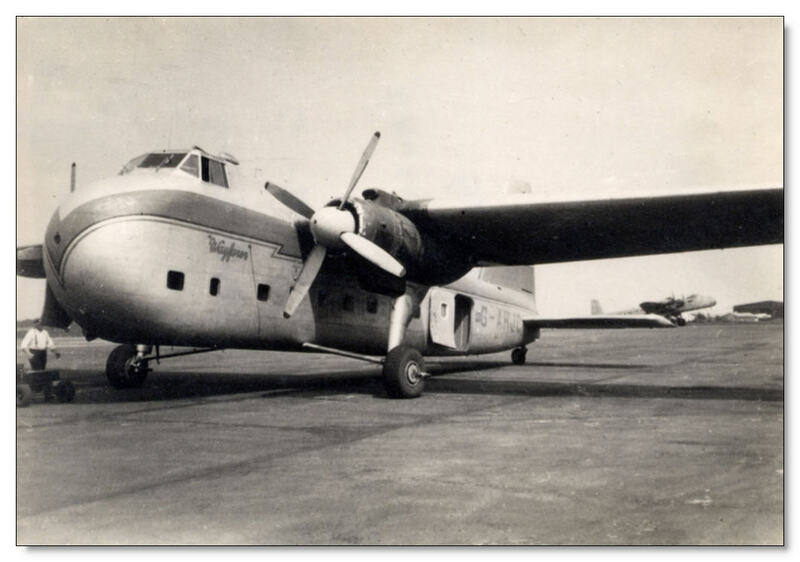 The aircraft had a wingspan of 108ft (32.9m) and a length of 68ft (20.7m) and was powered by two Bristol Hercules radial engines, each producing 1,609 horsepower and giving a top speed of 195mph (314kph).